Photo of: West of Ireland: Mayo: Clew Bay: Croagh Patrick. A view of Croagh Patrick in the right background. 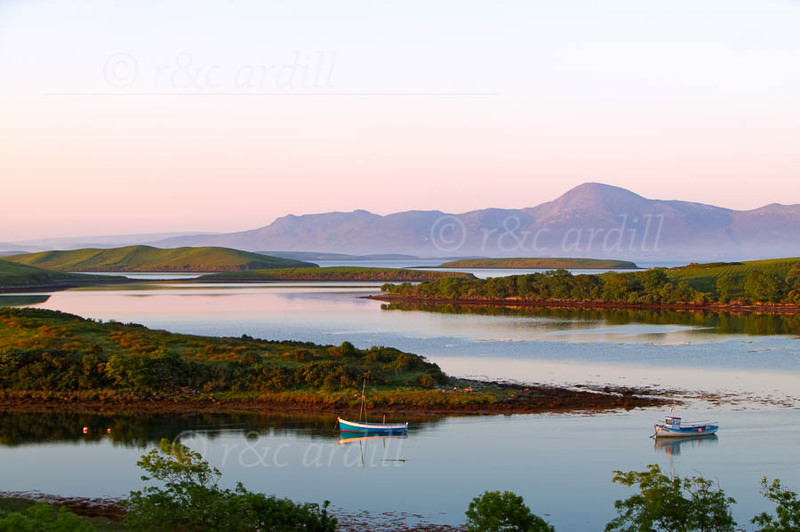 The photo shows Newport Bay with the islands and boats in the foregound with Clew Bay behind it.